On Wings of Eagles: Why do we fear conflict? 1. It makes us uncomfortable. Ultimately, conflict just isn’t fun. When we sense that something isn’t right, we know we need to do something about it, but sometimes we try to hide our feelings to avoid conflict. 2. It makes us feel out of control. When we experience conflict, we feel like we’re no longer in control of our lives. It’s the same reason we prefer to send a text instead of talking on the phone—we like to be in control of the conversation and the situation. 3. We’re not obeying God. Sometimes we fear conflict because we’re not doing what God wants us to do. When we trust God, we know that He wants our relationships to be in the right place. When we choose to avoid conflict and allow it to poison us, we’re hurting relationships that God wants us to make right. Now that we know why we fear conflict, we can start to overcome it. 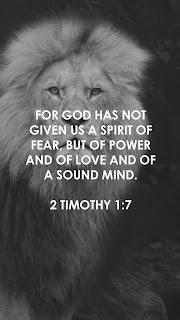 God is bigger than your fears, and fear is not from God. So, when you’re worried about conflict, pray about it. Ask God to give you wisdom and to give you the right words to heal that broken relationship. Next, we will look at how conflict can affect our relationship with God. Dear Lord, we pray that we will have the strength to overcome conflict. Help us to remember that You are bigger than any of our fears. In the Name of Jesus, Amen.